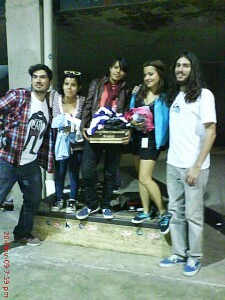 On Saturday November 28th there was a girls game of S.K.A.T.E in Guadalajara. The winner was Pamela Mayra Anaya (from city of Aguascalientes), with second place awarded to Vanessa Rojas and third place to Ivette Cardenas. A great event and lots of fun. Please continue reading for a full write-up and more pictures from PinkSpot’s Verny. Around 15:30 the event started – although we expected to see many more girls from Guadalajara, only 7 participants were girls – 3 girls local and 4 from other states. While carrying out the contest for children, the girls skated at the spot known as Chapultepec, after a while we went to the contest. 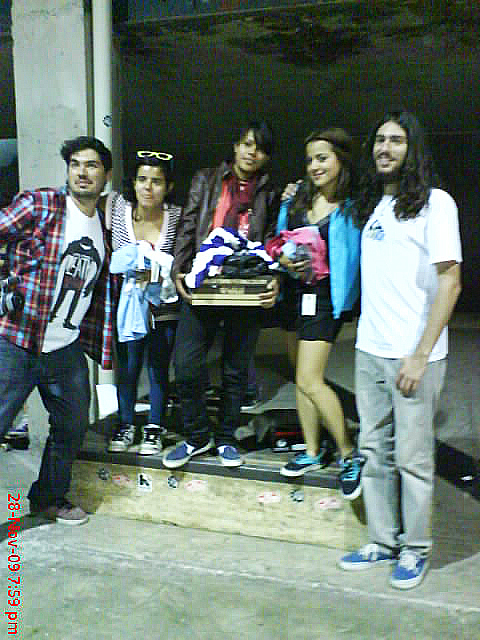 Varialflips, Nollie Bigspings, Halfcab Flips, Bigspings, and switch tricks were seen in this little game, just showing the high levels involved but it was Anaya Pamela who finally wins the game Skate whilst Andrea Sanchez was out of the competition by injuring her ankle while trying to bust a new trick for her repertoire. The day ended with prizes and also a mini expo of Art and Photography by Daniela Felton who was also present at this event. so jealous – the weather looks gr8 for sk8ing – it’s freezing here!! Your site rocks! If you’re interested in building your tween girl community, check out iTwixie.com – we’d love to feature you!